All you have to do is mention the words ‘Mitford series’ and readers everywhere will chime in with total praise for the genius writing of Jan Karon. I am happy to call Jan my friend. She was our Southern Lady of the Year in 2005. Barbara Cockerham, editor of Victoria, and I had the privilege of attending a beautiful all-white tea at Jan’s home. The large white tents on the lawn were filled with friends and colleagues that had come to celebrate this beautiful moment. The delicate foods and delicious teas were selected by Jan, and to our delight, we had the orange marmalade cake that is mentioned throughout the Mitford series. In fact, the entire weekend with her was a dream come true for us. Visiting Jan’s writing studio was a beautiful glimpse into her private space where she makes her characters come to life. It is a lovely cottage on the grounds of her plantation. Complete with wonderful quilts, antiques, and, of course, her writing desk, it was just as I had expected. It has been 20 years since Jan introduced us to Mitford, North Carolina, the fictional small town that is the setting for At Home In Mitford (1994), and nine years since the last Mitford book was written. I will always remember starting this series and reading for hours at a time. I love the characters and the intriguing way that Jan makes you a part of this town without you even realizing it. For all of you readers that are still grieving over the loss of the series, I am pleased to announce that TODAY, Jan and her finely rendered cast of characters will make a triumphant return to Mitford in her new book Somewhere Safe with Somebody Good. As a testament to the wildly popular series, tens of millions of copies were sold before she wrapped up the series in 2005, and I am sure it will be a stampede to get copies of this book on the release date. I was fortunate to receive a review copy for editorial coverage in our magazines, and I can truthfully say you will not be disappointed. After a nine-year hiatus, what prompted the return to Mitford now? Jan: My readers were wild to go back to Mitford. The general consensus was: Holly Springs, fine. County Sligo, fine. Now let’s go back to Mitford. Thankfully, I was curious myself. What was going on in the lives of characters I had lived with for 20 years? I was occasionally homesick for the place. Conclusion: Never say never. What makes your books so popular? When I began writing the series, I was dedicated to keeping it clean. That’s the way I like it, and I thought a few people might agree. Actually, millions agree, which, in the end, is no surprise. I find people everywhere to be basically decent, kindhearted, affectionate, helpful, funny, and ready for a laugh,a cry, and the assurance that God really does love us. I am here to encourage, console, and create a safe place between the covers of a book. What can we expect in this newest addition to the series? Father Tim Kavanagh and his talented and insightful wife Cynthia return, along with the entire cast of memorable characters brought to life again. Father Tim is still adjusting to retirement from Lord’s Chapel, and he’s trying to find new purpose in the process. As always, the bighearted and engaging Mitford residents look out for one another, celebrating life’s joys together and lifting each other up during life’s struggles. The result is an inspiring and thought-provoking tale that will thrill longtime fans and have new ones reaching in the backlist. I have been intrigued about the way you write about your characters as if they lead you, rather than you creating them. What makes Father Tim so easy to be with and write about? Hey, when I started writing about Father Tim, I found him on the boring side—too nice, maybe. Bland, but as we worked together, I got to know him better. He became deeper and so did the author. He suffered and so did I. We embarked on life together, and I began to find him trustworthy, funny, sensitive, loving, thoughtful of others, lacking a bit in self-esteem, hungry for love but scared of it, and with fewer defenses than the rest of us. I care very much for my man and thus have devoted, to date, 20 years of my life telling his story. Jan Karon has written another beautiful book in the Mitford series. I just love the way she talks about her relationship with her characters and her finding out about them as she writes—very thought provoking! Congratulations, my friend, on another beautiful book. You make our world a more beautiful place. 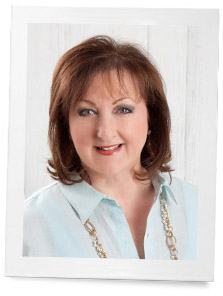 Have you read any of Jan Karon’s books? Which was your favorite and why? I am thrilled that there is another book coming out. I love the Mitford series, it`s a way to escape your problems for a while. Makes you feel like you are at home in Mitford with real people who care about one another and are there to help in a minutes notice if you need them. And if you need to be uplifted they do that for you too. I have all the books in the series and will not depart with them. Cannot say that for some other series I have read. Phyllis, thank you for a wonderful interview with a beloved author. I was a bookstore manager for eight years, during which time I sold tons of books from The Mitford series. 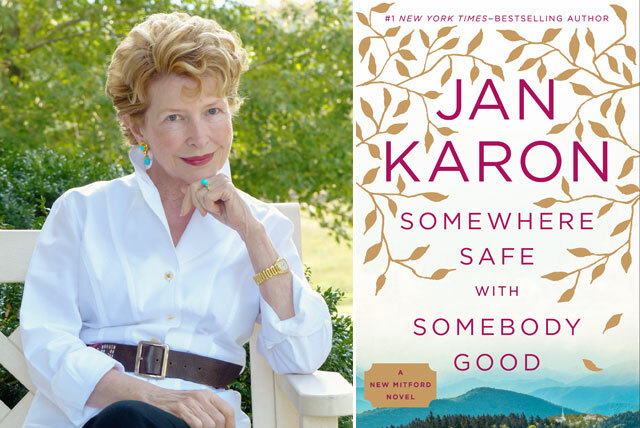 Looking forward to checking out Jan Karon’s new book, Somewhere Safe with Somebody Good. I am beyond excited to hear about a new book about Mitford and all the beloved characters who live there. Long my very favorite books to read, I love the characters and the way Jan makes us feel like we know this town, and love its people! Reading about Mitford is comforting, I spent many blissful hours in front of the fire reading and relishing in each and every page. Thank you, for letting us know about the new book, can’t wait to enjoy it! I was able to be with Jan Karon here in Birmingham, had my picture made with her and enjoyed hearing her talk about the series and the new book. Of course, I picked up my signed, first edition. Can the magazine you were mentioning still be ordered? I would love to have a copy! We read the Mitford Series at our library book club years ago. I made the orange marmalade cake, and brought it to share. Everyone loved it and even my husband ate a piece. It was so moist and flavorful! Well, obviously, I had better read these books! I’m the only one here who hasn’t – and I’ve never seen so many good endorsements! I’m on my way out the door right now! Well, okay, tomorrow! A co-worker gave me the first book in the series when I was going through an emotionally difficult time in my personal life. In the town & characters of Mitford I was able to find respite from my troubles. I was also fortunate to have the series in which to stay absorbed. They gave me something to look forward to each day. I will always think back on those books as a first step in healing. They evoke very sweet & comforting memories for me. Thank you Jan Karon. I look forward to revisiting old friends. I have read all Jan Karon’s books, and have several copies of some of them, that I bought at used book stores or yard sales. I cannot ever leave one behind. I usually give a copy to someone I think would be interested in reading it. I have pre-ordered her latest book, and should be receiving it soon. Can’t wait. I, too, have read all of her books and used to get the newletter sent periodically. I am so happy that Father Tim and Cynthia’s story will continue. Can’t wait to read the new one and catch up with the citizens of Mitford! I had forgotten all about the Mitford series until I saw your post today. I am SO excited to re-read the whole series again as it has been years and I LOVE those books. Then I will read the new book after I refresh my mind with all the lovable characters in the books. I want to make sure my nieces (18-21) know about Jan Karon and Mitford – if not, I’ll introduce them so we can chat together as we read the series. I will make sure to read ALL of Jan’s books, she is a wonderful author. Thanks for the post today! I have all of Jan Karon’s books including “Patches of Godlight” . They are the only books I have ever read and reread. They make me want to be a better person; to have more joy in my life and to pass that joy on to others. Your books are wonderful, and now I see that you have written a new one. I will be purchasing you new book. Congratulations. a great author. It’s tough to pick one favorite, they are all wonderful and fun to reread. I’m rereading In The Company of Others right now. I was over the moon when I heard about the new Mitford book. Jan Karon is my favourite contemporary author. I have read each of the Mitford series books at least 5 times, if not more! When I am feeling down or need some comfort I return to Mitford and am immediately transported to something so real, familiar and genuine that it almost takes my breath away. Jan has an absolute gift for making her characters so true to life that you feel like you have known them your whole life. I introduced my friends to this series and we often find ourselves quoting Father Tim or laughing out loud after remembering one of Uncle Billy’s jokes. Hurray for Mitford! Thanks, Phyllis, for this great “visit” with you and Jan Karon. The Mitford series helped Mom through many sleepless nights after she endured amputations of both legs because of Peripheral Artery Disease. Each day she would share the Mitford happenings with me as if the characters were her dear friends. This is certainly a testament to the quality of Jan’s writings. What better way to honor Mom on the first anniversary of her passing than with a trip to Mitford through a new book! I really like all of Jan Karon’s books. I bought most of them. The first being “Miss Fanny’s Hats” before I even knew about Jan Karon. My daughter gave me the cook book as a Christmas gift after it came out. So looking forward to the new book. I get excited to see what your next Ribbon in my journal will include. Thanks for starting it. I had forgotten all about Jan Karon and Mitford!!! So happy to know she’s come back to all of us!! I can’t say what one was my favorite ~ they all were and I look forward to reading yet another of them!! Thanks for letting us all know we can expect to be reunited with Father Tim!! I read the entire series and loved it. I am looking forward to reading the newest. I have missed Mitford and am happy to return. Thank You Jan Karon! Both my husband and I have read all of Jan’s books (with the exception of the two children’s books; just haven’t gotten to them yet) and liked them very much. They remind us of the very daily-ness of our faith. One of our sons is a stressed-out engineer, and I suggested that if he wanted a literary balm that he try those books —- and he read them all too. So thanks to Jan for bringing Mitford and Fr. Tim — plus all those other characters — into our lives. Safe With Somebody Good. Thanks for sharing this delightful post on your blog today. 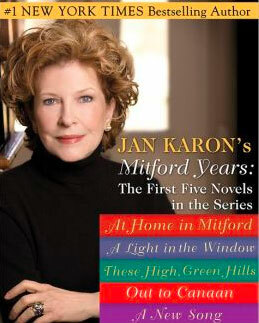 I love Jan Karon, have almost all her books, Mitford series being my favorite. I am looking forward to the new book. As a children’s author, I even have her children’s books. My grandchildren are grown now, but wonderful memories when I see the books on the shelf. Thank you Jan and thank you Phyllis for all your wonderful work! May God be with you and yours. I have read all of the Mitford books and can’t wait to get the new one! Being from North Carolina, the town of Mitford so much reminds me of the town of Blowing Rock. Just a coincidence, I know!! Thanks for your posts each day, Phyllis. I enjoy all of them. Love,love Jan Karon. Can’t wait to read new book. Have so enjoyed all the others. “Thank you” to her for the wonderful hours of enjoyment her books have brought to me. What a treat to hear about the tea she hosted. Phyllis, thank you for the Ribbon in my journal. It’great! I love to read and I especially love Jan Karon’s books. Always intriguing and clean. Thanks for another great book. I can’t wait to read it. How can one choose a favorite of Jan Karon’s beloved “Mitford”series ? I owe gratitude and thanks to Ms. Karon , as she added happiness to the last months of my Mom’s life ( and enriched mine as well) . Due to physical decline and unable to care for herself , my dear Mom needed 24 hour care in a nursing home. Fortunately , her mind was very sharp – she continued to read and complete crossword puzzles. We had our own “book club” taking great pleasure in those Mitford stories ! I was able to find most of them in “large print” for her and I read each one at the same time . Mother and daughter shared a special bond with each chapter and the memories I will always cherish . I will be enjoying Jan Karon’s beautiful new novel with loving thoughts of my Mom . She would be so pleased ! I loved the Mitford series, but it has been a long time since I read them. I am going to the library today and starting rereading them, while I anticipate the new book. Thanks to you for The Ribbon in my Journal, I look so forward to it every day. I enjoy “Ribbon” so much and this post is especially special as now I can look forward to finding out what has been happening in Mitford since I last visited. I just came from my 47th family reunion where I was able to catch up with many members of family that I see once or twice a year…..but what a blessing. New marriages, new babies … no deaths this year, thankfully. My husband’s family is from Tennessee, so even the Southern roots lends a connection for me, as I dearly loved his relatives and appreciated their different culture. 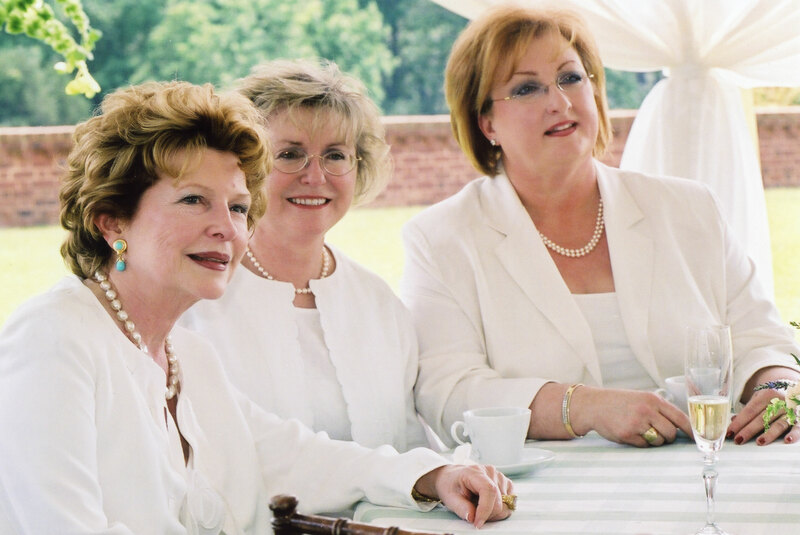 Your picture of the Southern women all in white made me smile and wish that I could have been to tea as well. I look forward to the new book with much anticipation. I will ask my granddaughter for it for Christmas as she is a voracious reader and I think she will like giving her Mamaw a book gift. And of course, I’ll love the gift. You are so wonderful to share treats like this with all of us. Ruth J. My mom loved these books so much. She couldn’t wait for the release of each book in the series. She left us two years ago, and I sure hope this new book is on her Kindle in Heaven! I have read all of the Mitford series and thoroughly enjoyed the joy and friendships that each of the characters in this lovely small town. 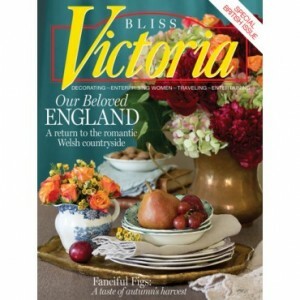 Because I am such a romantic I especially liked the book when F. Tim and Cynthia fell in love and their early courtship. I look forward to reading her newest and to see how life is like in Mitford after so many years. Has it really been 20 years since Jan Karon introduced us to Father Tim and Mitford? Good grief! How we’ve all missed living in this wonderful town as we stroll through the pages of her books. I, like everyone else, love all of the Mitford books and long, so long, for a place like Mitford to call home. Hurray we will all be able to go back for a visit soon! I love all of Jan Karon’s books and I’ve read them all. Can’t wait to get her new book and read about all my old friends and what is going on in their lives now. To call Jan Karon friend certainly is a blessing for you and I truly enjoyed your sharing the above with us, The Mitford Series will always be my favorite. From the very first book to the last I found myself in Mitford embracing each character and overwhelmed by the purest love shared by Fr. Tim and Cynthia. I have encouraged so many of my friends to read the series and have been told by them that once they began the first book they were totally captured. Jan Karon has given us all an amazing gift; words cannot express my gratitude for her amazing talent and all she has given her readers, I look forward with great anticipation to revisiting Mitford in her new book. Thank you! for “Ribbon In My Journal” I enjoy reading every entry! I have read all of the Mitford series and still have all of them, including her Mitford Cookbook. She is such a gifted author. Thank you for informing us about her new book–can’t wait to get it! Thanks for introducing me to another great author. I am intrigued to read Jan’s books! I, too, have loved all her books and now can’t wait to begin the newest one. Thanks for the teatime chat, Phyllis! I love all of Jan’s books. Can not wait to read the new one!